he ECOSYS P3060dn printer has it all: high-speed printing with up to 60 pages per minute, a time to first print of only 4.9 seconds and a maximum paper capacity of up to 2,600 sheets thanks to additional paper feeders. But it offers more than just greatperformance it boasts unrivalled reliability too. Thanks to its long-life components, its total cost of ownership and environmental impact are both exceptionally low. And with Print&FollowTM, you can save both time and money thanks to the default intelligent distribution of documents. 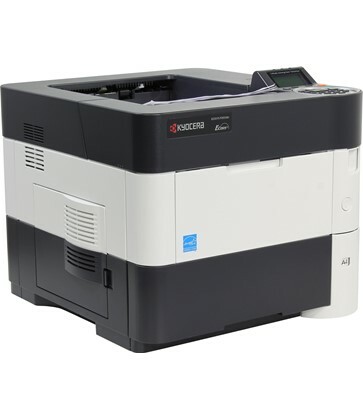 See the manufacturers web site Kyocera ECOSYS P3060DN for more information.